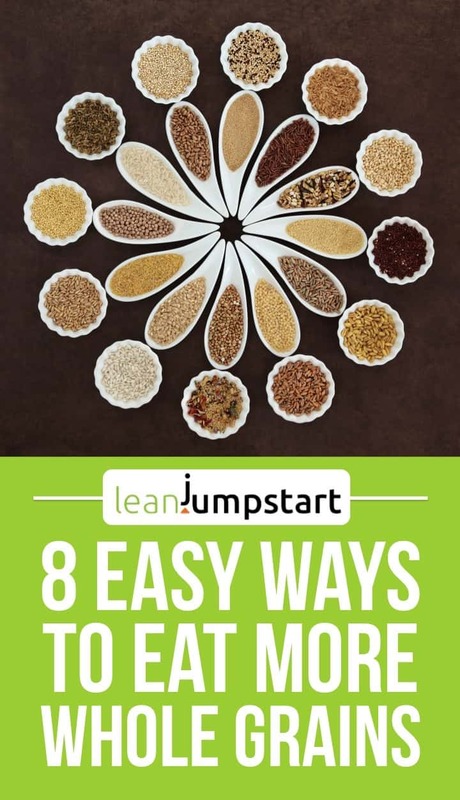 For increasing your whole grain foods consumptions to 3 clean, high fiber servings per day you have many delicious choices depending on your taste preferences. After a while, as your taste buds grow to appreciate the nuttier, fuller taste, some of your “refined favorites” may taste surprisingly bland! 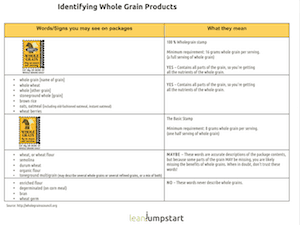 Week 1: What are whole grains? This first week again is about awareness. With so many different products available on the grocery stores or supermarket shelves, how do we know whether a product is a whole? The truth is that you will find out when looking at the ingredient list. Choose foods that contain whole grains as the first ingredient. The Whole Grains Council has created an official packaging symbol called the “Whole Grain Stamp” that helps consumers find real whole products. The Stamp started to appear on store shelves in mid-2005 and is becoming more widespread. With the special stamp, finding these fiber-rich products full of vitamins and minerals is easy. Our free cheat sheet helps you in identifying them even when the stamps are missing. 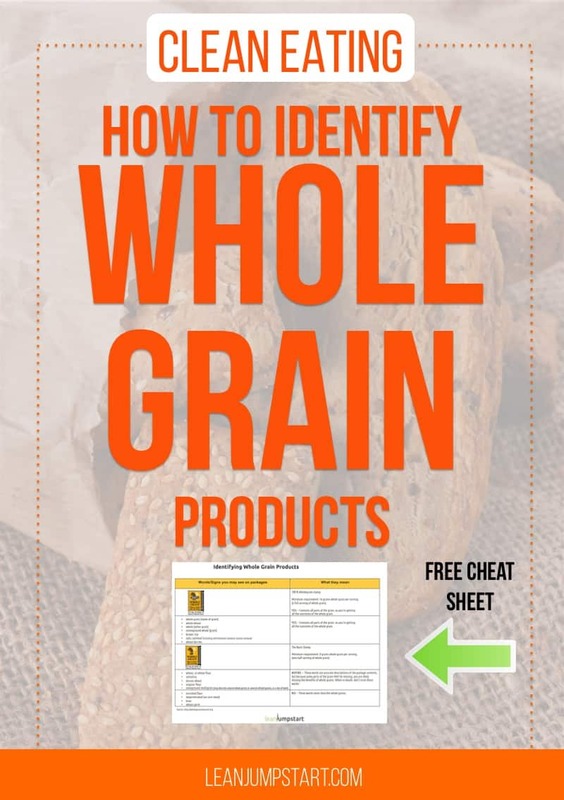 Click here to download the whole grains list cheat sheet! Now that you know what to look for (and avoid), it’s time to stock your kitchen and pantry with whole foods. Get a feel for the different types and examples providing a multitude of health benefits. It’s important to remember that whole wheat is only one type. 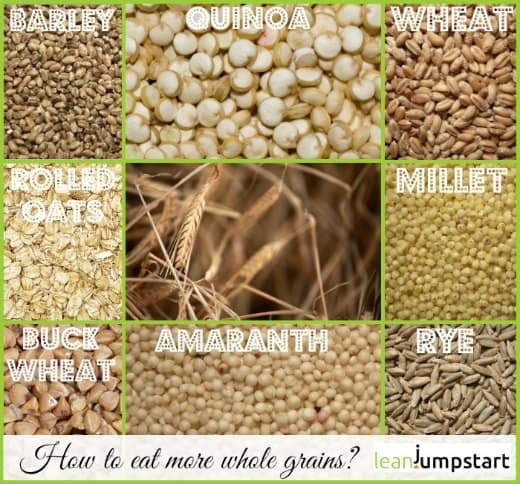 Find in the following some other examples of whole grains. Wheat can come in the form of bulgur, spelt, wheat berries, and farro. Our picture below gives you a visual idea of some of the amazing powerhouses. Quinoa, by the way, is a pseudo-grain but so healthy that I felt I had to include it in the collage below. Switch your bakery habits from white bread and rolls to whole–grain bread. Take always a close look at the ingredients as brown bread can also be a disguised white bread dyed brown with caramel. While 100% whole grain is a great source of nutrients, rye and whole grain crackers will work too. Homemade whole grain bread of any kind is the best option when you take clean eating seriously. The web is full of whole grain bread recipes. Here comes my own favorite whole wheat bread recipe with a 3-minute dough. All of their products have organic whole wheat as the number one ingredient. The Sprouted Multi-Grain bread is clean. Try to have oatmeal always available. It is a very original way to eat your whole grain cereal serving per day without many associated substances. Oats contain in this food group the highest amount of healthy fat (7%), especially multiple unsaturated fatty acids, and a lot of protein (15 %). Oats are also rich in iron, zinc, potassium, vitamin B1, B6 and E. Made with 100% natural oats, oatmeal is not heat-treated in any way and has a limited shelf life. On Amazon.com, a great choice for clean oatmeal to buy is Bob’s Red Mill Organic Old Fashioned Rolled Oats. In contrast, instant oats are rolled, steamed, and precooked cereals and therefore have a very long shelf life. These will often have sweet flavorings added, and are not recommended. Oats are a versatile ingredient and can be used in other recipes besides muesli or oatmeal (check here my ultimate whole grain recipe for breakfast). Put some oats and make your ground meat more solid or bind soups and sauces with it. Exchanging white rice for brown is another way to add more whole grains to your diet. Brown rice has a higher satiation effect and contains important nutrients. Parboiled rice is acceptable too because of its special processing it is a better source of calcium, vitamin B-6, potassium and fiber than regular white rice. Add half a cup of cooked wheat or rye berries, brown rice, wild rice, barley or sorghum to your favorite soup. Substitute quinoa or millet in place of couscous: Quinoa and millet are unprocessed, couscous, in contrast, is made from processed wheat flour. Make your own whole wheat bread sandwiches with healthy ingredients including veggies instead of spending your hard-earned money on overpriced ready-made sandwiches or bagels. Buy whole grain pasta or a mix with white pasta. Substitute half the white flour with whole wheat flour in your regular recipes for bread, pancakes, and muffins. Home-made or bakery fresh bread tastes so great that you can eat a double portion very easily. You can see bread as traditional fast food. Hence remember – no matter if you consume it whole grain or with white flour – if you are eating too many calories you will gain weight and also increase your risk of heart disease. For successful weight control don’t eat more than 4 servings of grains and potatoes per day. If you eat muesli for breakfast and whole grain noodles or potatoes for lunch then you have room left for 2 servings of whole grain bread. LeanJumpStart Tip: Do not buy fresh bread every day. Instead, buy it once a week and deep-freeze bread portions. 2-3 slices per individual/per day are sufficient. That way, you will not be tempted to eat more. Are you overweight and already eating more than 4 servings of grains and potatoes per day? Try to eat grains more sparingly in favor of more vegetables. Click here to learn about fiber-rich vegetables and other foods with lots of fiber that keep you in shape. What are your strategies for choosing whole grains? I’d love to read your tips or best recipes below in the comments. you are welcome! Thank you for your kind words. 15 kg lost – congratulations what an achievement! 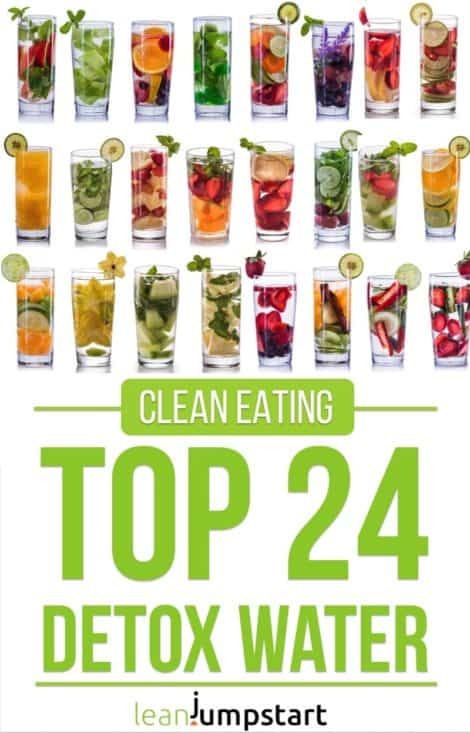 Looking at your established healthy habits your success really doesn’t surprise me. If I interpret your email address right then you live in Zimbabwe?! I’m very curious to know how hard it is there getting whole grain bread? I was obese then I cut down on starch. I started eating oats, brown bread, brown rice lots of veggies and fruits. I have lost 15 kgs. I am now really enjoying good health. Also water and exercise help with weight management.